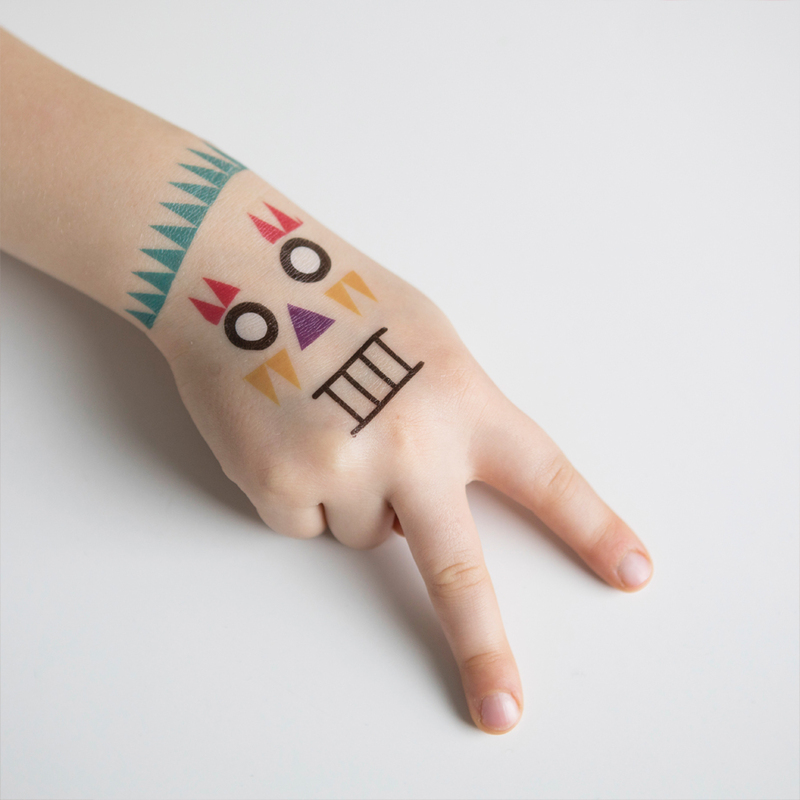 Bright sparks, bold patterns, racing rockets, little worlds, silly monkeys and sulky monsters … tiny tots and grown-ups alike use Tatu Tata modular stick-on tattoos to turn their bodies into a living canvas – from the top of their nose to the tip of their toes. A quick idea, some sticky motifs, a riot of colour – and the small, skin-based art takes tattoo shape: Whether cheeky character or abstract ornament, earworm or elbow-wow – Tatu Tata is endless fun and always ready to surprise.The skin-friendly design adventures survive the wildest play – and easily come off with a slick of baby oil. Enjoy your temporary transformation and don’t worry about running out of ideas (or stickers) – there’s eight different sheets of Tatu Tata to choose from!